When Pastor Trisha Peach was a kid, she always thought that if you had a medical problem, you just had to make it to a doctor – just survive long enough to get to a hospital and then you would be fine. The doctors would have all the answers. They would be like the heroes on TV, capes and all. She discovered that she was wrong. Sitting in church on Sunday, or waiting in your child’s school assembly bleachers, or milling about in line at the movie theater it sometimes seems obvious who is living with a serious illness and who is not. You try not to stare, but you do notice if a person is missing a leg, or is in a wheelchair, or is carrying an oxygen tank, or has an arm in a cast, or has a white cane etc…. A lot of people SAY they do not prejudge people or discriminate, but truth be told, most human beings make THOUSANDS of judgments in the first few moments of approaching someone before ever having a conversation with them. And without knowing it, our brains file people in categories of “normal” and “disabled”. What I am learning more and more in my life is that ALL human beings are differently abled. Some of our challenges and baggage are visible and some are not. We are ALL HUMAN. Question: How many of the people we look at, talk to and interact with on a daily basis have been shoved into our “normal and just fine” category, but they are really struggling every single day with an illness that CANNOT be seen?? What if someone we talk to every day is secretly battling depression, a heart problem, lupus, chronic fatigue syndrome, fibromyalgia, or crippling back pain? So many mental and physical illnesses cannot be seen just by looking. I’m thinking of a dear dear friend of mine who is very young and awaiting major heart surgery, since three of her heart valves are faulty. Another friend has lived with PCOS for over 15 years. My own mother fights every single day to have a “normal” day and do the things we all take for granted due to crippling back pain, despite 7 major surgeries and many medications. Most of my life, anyone who knew me would describe me as a “hyper-active bunny on steriods” due to my extremely high energy level and outgoing personality. Ever since I was a child, my parents described me as being in “hyperdrive”. I have been a full time staff pastor for 16 years, married for 15 years, and I have two young children Logan (11) and Eliana (9). For most of my ministry career, I have worked 60+ hours a week, involved in 2 sports, highly involved in my kids’ school and doing a date night every other week. I lived by a “pull yourself up by your bootstraps” type of thinking. I kept pushing and pushing, thinking that my energy wouldn’t ever end. Then about two years ago, things began to change. Slowly, I began to feel more and more tired. I chalked it all up too working too much, and thought a good night of sleep would do the trick. It didn’t. I began to be more and more tired, week by week. Then my fingernails began to break off, and my skin got even more pale (if that were possible). I could hardly make it through the morning without a nap. Coffee, which had always had such a huge effect on me, no longer helped at all. And I could barely make it through a workout. My normally very athletic body began to swell out. I even found myself yawning on the treadmill! So I did what would have worked for me in the past. I restricted my calories to 1500 per day and worked out 40 minutes a day and joined Weight Watchers. I was frustrated at the interruption in my busy life, but I wasn’t worried. I was so determined to get back to “normal”. You cannot imagine my shock and horror at the next Weight Watchers meeting, when everyone else lost 2-5 pounds, and I had GAINED 2 pounds. I just stood there staring. I don’t like to fail. So I thought, “I must be bloated? I’ll just step it up.” So I cut down to 1200 calories a day, and went to hour long workouts every day and no sugar. And this time I gained one pound. I went into the Weight Watchers bathroom and cried. I cried in the car all the way home. I cried in my room. The next morning I couldn’t find a pair of pants that fit, so I wore my husband’s pants to work. And I cried in my office. I found out later that the lack of food and constant exercising were making things worse for me (I didn’t know at the time what was wrong with me, and my iron and Vitamin D levels were very low). I know now that I was suffering from an autoimmune disorder called Hashimoto’s thyroiditis. My body is attacking it’s own thyroid gland, making my metabolism and energy shut down. But I was still a long way from getting that diagnosis. This poses a really good question: What do you do when a doctor says “You’re fine. Your tests are all normal,” but you know you are not fine. The next year was a huge journey for me….a bumpy trip toward a diagnosis and treatment. But I’m really glad now that I didn’t give up. So there I was, one year into my battle with an unknown illness and still no closer to a diagnosis. Sitting in the exam room of doctor number 5, I nervously went over and over in my head what I would say to get this doctor to listen. I hoped and hoped that this doctor would have some answers. In my hands I clutched my pages of notes that I had labored over, of all my symptoms and what treatments we had already tried (not many). In the end, it was one of the fastest visits yet. I do not even think I got to the end of my notes. The doctor simply suggested that I was depressed. Hmm….depressed? Well, that actually did make sense. I was so very sick of watching my life and the life of my husband and young kids go by from the couch. I was so frustrated with not knowing if I could be able to do something the next day. I never knew if I would have any energy or not. I had good days and more and more bad days. I was definitely sad at not fitting in ANY of my clothes, my face being so swollen, constant lung infections and more. I would do ONE load of laundry and have to lay down from exhaustion. Yes, that was certainly depressing. But was depression the main cause of my problems? No, depression was a SYMPTOM -a natural result of what my body was dealing with. But that was the doctor’s conclusion. And then he sent me to a nutritionist. The conversation with the nutritionist was one of the most frustrating of my life. I tried to show her my Weight Watchers journals, but she wouldn’t even take a peek. She started with, “Trisha, you really need to stop drinking pop. It is so loaded with calories.” I responded, “But I don’t drink pop. I do not drink ANY calories. I haven’t for years. No pop, no juice, no nothing but tea or water or coffee.” She didn’t even stop for a breath. “Really Trish, you have to stop with all the juice too. All the pop and juice add so many calories to your diet. You are going to have to start tapering down on them.” Me: I don’t drink any of those things! Her: Really it needs to stop. (I almost slapped her, but my body was frozen with anger. She kept going.) Oh, and Trish you are going to need to stop all the chips and white bread. Me: I don’t eat white bread. I haven’t in 5 years! And chips are a rarity for me, just once in awhile. Her: yeah. uh huh. Let’s start tapering down on those mmmkay? I think if I had beaten her senseless at that point, Jesus would have forgiven me. She had it coming. But instead I trudged back to my minivan. And I sat staring at nothing. If I wasn’t depressed before, I sure was now. As a professional and as a person, I wasn’t used to being talked down to. I wasn’t used to not being believed. And I REALLY resented being labeled as a hypochondriac/liar for going in for medical help. You would have thought that I told them a story about being abducted by aliens and probed by bigfoot by the speed at which my symptoms were dismissed. I hate leaving a clinic AGAIN feeling defeated, hopeless, rejected – like a failure. When I was a kid, I always thought that if you had a medical problem, you just had to make it to a doctor – just survive long enough to get to a hospital and then you would be fine. The doctors would have all the answers. They would be like the heroes on TV, capes and all. It’s such a shock when the blinders come off and you realize A. They don’t know everything, and they may NOT have the answer to your problem (practicing medicine) B. They may not believe that you really have symptoms or are really sick C. They are so limited as to what they can do, even if they believe you. No cape at all. They are human too. No superpowers. So what do you do when your “city” is on fire, and you finally reach the superhero and he doesn’t believe you really have an emergency? Or he believes you but has no idea what to do? Or suggests we cover the city in paper towels immediately, and you know that just won’t work? I realized that I had two choices…..1. Keep fighting, keep trying, keep looking for a doctor that would listen. Get educated myself on what may be happening. 2. Give up. Resign myself to the couch and let my family move on with life basically without me. I am forever grateful that I have an amazing family that wouldn’t let me choose option two. I called my mother many times and vented and vented. She prayed with me and encouraged me and kept urging me to keep fighting and trying to find someone to help. You see, hypothyroidism runs in our family. My mother, both grandmothers and several of my aunts all have it. My mother was convinced that that was what I was dealing with. And it took my mother YEARS to find a doctor who knew what to do. It also took the death of her third child (stillborn) to help make the connection- unspeakably tragic. My mother’s long fight to get her health back, her life back and raise us girls (and my brother who came along later) is an inspiration to me to never give up. The war is worth fighting for the hope of a better life on the other end. So what if 7 doctors dismiss you, if that ONE doctor finally finds an answer or a treatment that gives you your life back? Isn’t that worth one more doctor visit? And another? I am glad now I kept going, one more time. Because an answer for me was right around that next corner. Out of desperation, I began doing my OWN research. 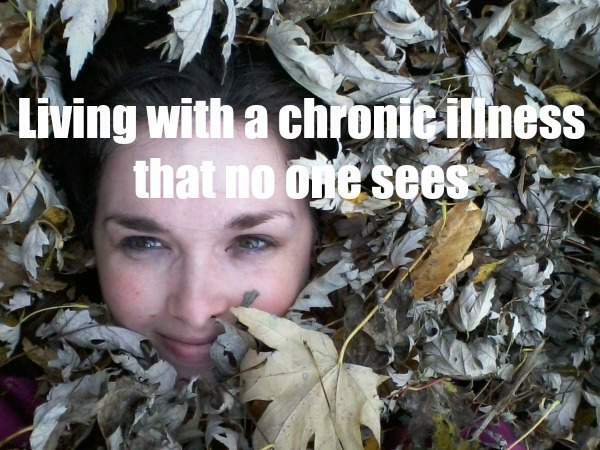 Because when you are dealing with a chronic illness, many times your choices are: A. Give up and let life pass B. Keep fighting a frustrating battle for a doctor who will listen and is qualified to help you find a diagnosis and treatment that may help. Thanks to my amazing friends and family, I chose B. And I KEEP choosing B. On a daily, and sometimes hourly basis. And “A” has seemed pretty appealing at times….But I have found that HOPE is worth the wait and the fight. 1. I did a LOT of reading. It’s a free country, and now more than EVER, you have access to information on just about every subject known to man (and woman). I read up about my symptoms, I read about possible treatments, and I read lists of doctors in my state that specialized in treating these symptoms. 2. I talked live and online with patients who were being treated for symptoms similar to mine. I LISTENED to them – what was working, what didn’t work, what doctors they saw, what tests they recommended. This community interaction was priceless. 3. I asked to see my own test results and I ASKED to have certain tests done. Did you know you could do that? Usually, you will not receive a copy of your own blood test results and you may not even know which are being done and why. But here’s the thing: my doctor doesn’t have to wake up and function in this body. I DO. BOTTOM LINE: My health is NOT my doctor’s responsiblity. Ultimately, the health of MY body is MY responsibility.